We have had great success smothering our lawn to create new planting areas and kill weeds such as creeping charlie. 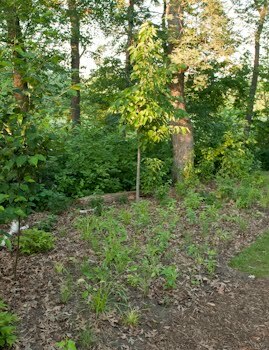 We just finished planting an area in our back yard which was previously part of the lawn last fall. 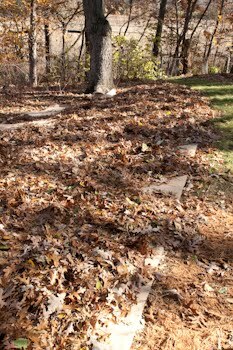 After the leaves fell, we raked the leaves from our lawn onto the area to be smothered. Some people use newspaper for smothering grass. We realized after using newspaper that it was very time consuming for large areas and it took a while to build up a supply to have enough for the job. 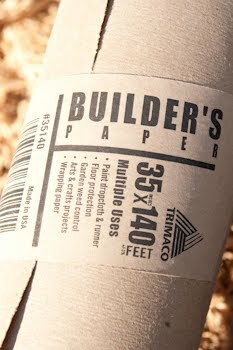 We now use rolls of Builder's Paper which come in 3' widths and are available at Home Depot or Lowes in the paint section. The paper is a nice thickness and you only need one layer to do the job. 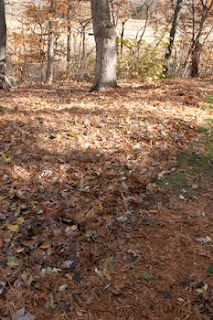 For this project, we rolled out the paper on top of the raked leaves, then covered the paper with more leaves. You need to have enough leaves on top to weigh down the paper. A shredded wood mulch also works well. 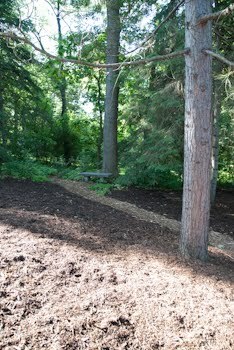 We no longer use landscape mulch in the yard other than for pathways because we are trying to restore the leaf litter layer as much as possible. This photo shows the layer of leaves on top of the paper. There are some great advantages to smothering grass this way. 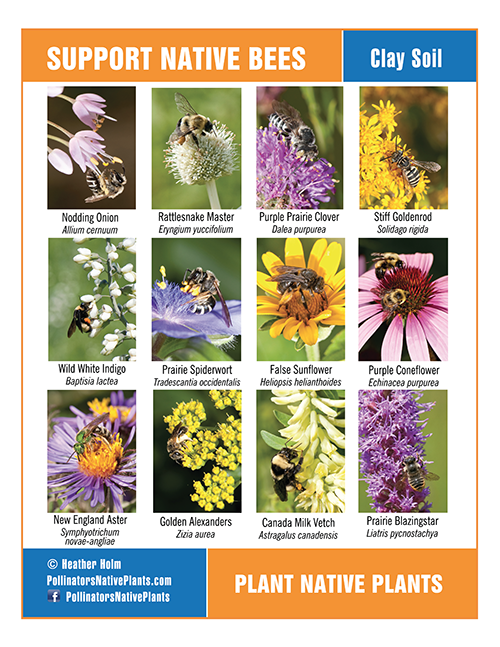 The biggest ones are that it does not create any soil disturbance and you don't need to use any herbicides. 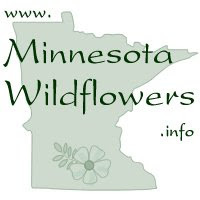 No soil disturbance means you will not be disrupting any root structures or soil mycorrhizal fungi as well as not promoting weed seed germination. Most of all it is a lot less work than removing the sod. The added layer of leaves and decaying sod creates a wonderful layer of humus and adds organic matter to your soil. The paper and leaves need to be left for at least two seasons, ie. 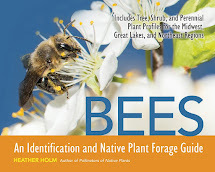 paper in the fall and plant in the spring or paper in the spring and plant in the fall. Be aware if you have a dog that they can easily tear the damp paper if they run through the area which will allow for openings and the sod to poke through. 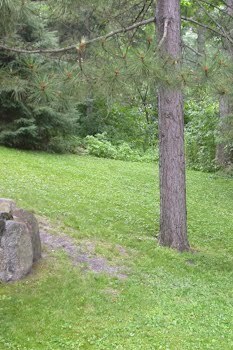 This photo shows the area planted the following spring. 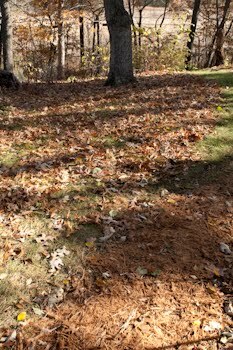 Here are some other before and after photos where we used wood mulch to smother the grass. 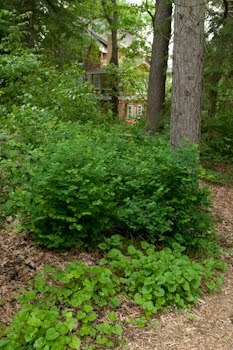 The area was heavily infested with creeping charlie so we needed the extra weight of 2-3" of wood mulch to kill the creeping charlie.